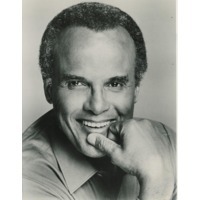 Harold George "Harry" Belafonte, Jr. (originally Belafonete; born March 1, 1927) is an American of Jamaican and Martinician descent who is a singer, actor, and social activist. One of the most successful pop singers in history, he was dubbed the "King of Calypso" -- a title which he was very reluctant to accept (according to the documentary Calypso Dreams) -- for popularizing the Caribbean musical style with an international audience in the 1950s. Belafonte is perhaps best known for singing the "Banana Boat Song", with its signature lyric "Day-O." Throughout his career, he has been an advocate for civil rights and humanitarian causes, and was a vocal critic of the policies of the George W. Bush Administration.